One year has made a big difference in my garden. With the temperature in the 80s most days, my garden is beginning to look more like summer than spring! I am seeing things I have never seen before … lilacs and rosebuds in MARCH! No way. 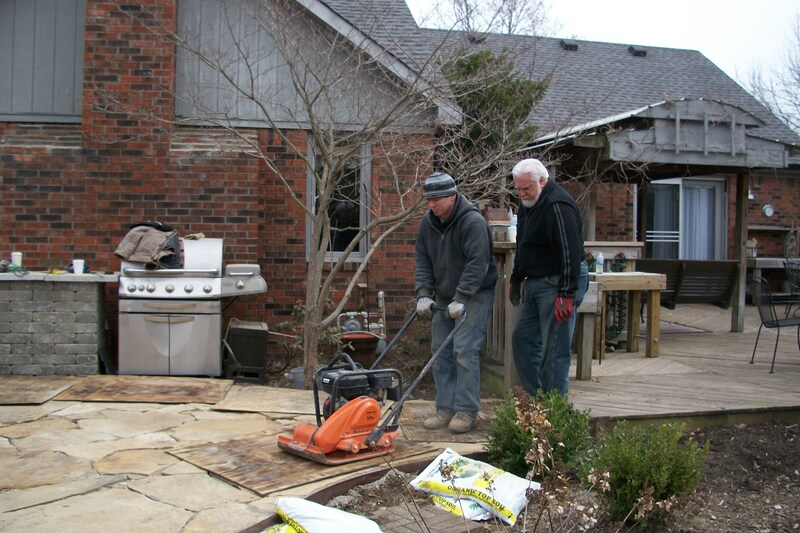 On March 26, 2011 we were laying a flagstone patio dressed in coats, hats and gloves! It was cold, dark and dreary. I kept the coffee pot going all day! Notice the Dogwood tree in the background … not a leaf. That same tree is almost in full bloom just one year to the day! A cold, windy March 26, 2011 morning! The day before Mr. G and I were getting the “base” ready. Burrrrrr! Fast forward to March 2012 … look at this! Are you having an early spring too? Wow – look at all those blooms! What a difference a year makes! I’m in zone 8, and yes, we’re a little earlier than usual – about a week or two. I am worried what summer will bring. Last year we had record high temperatures. I’m hoping there won’t be a repeat of that! I know what you mean! An “extra hot” summer is not what we are ordering! Yes, Teresa, it is amazing how early spring is here in Nebraska, which is zone 5b. I love it! A teacher I work with was concerned about the weather turning cold and harming plants. I told her I don’t think that’s in the forecast. Spring has come early! Wow, things are really popping out ! 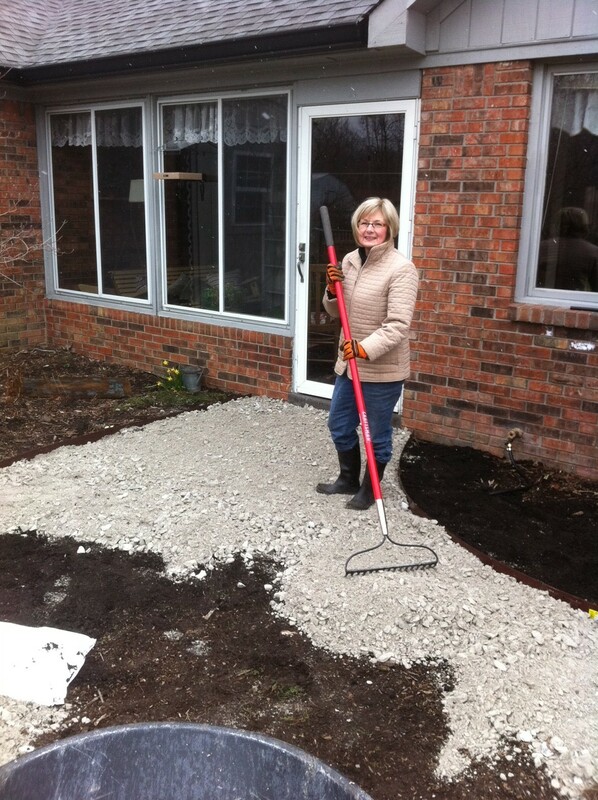 You are going to love you flagstone path. It looks wonderful. We do! Most of our meals at home are eaten there!